Northern Explorer Adventures specializes in intimate, all-inclusive trips for groups of up to six guests. We offer individualized itineraries for 3- and 4-night cruises as we traverse southcentral Alaska’s awe-inspiring Prince William Sound. 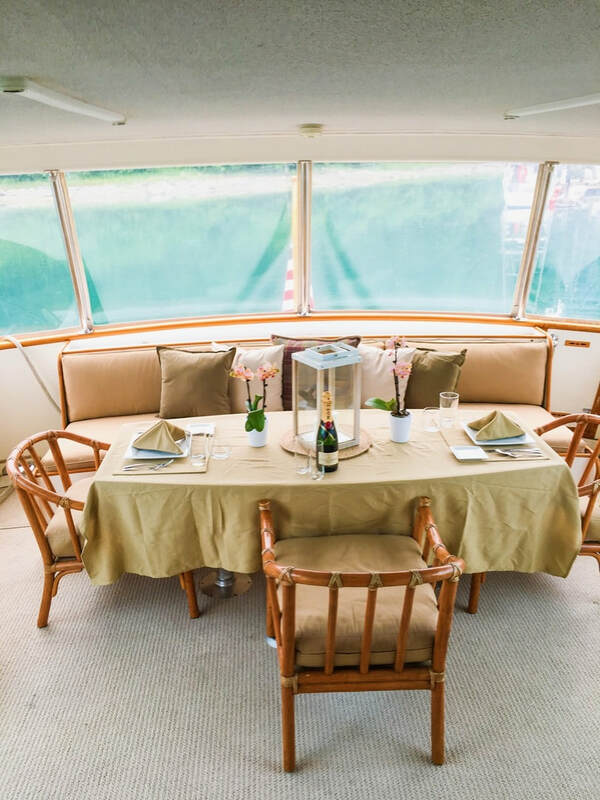 Our luxurious cruising yacht is designed to maximize both your comfort and opportunities to experience the breathtaking beauty of Alaska. On board, you will rest in your well-appointed stateroom, complete with private ensuite bath. You will dine on the finest, freshest Alaska cuisine. 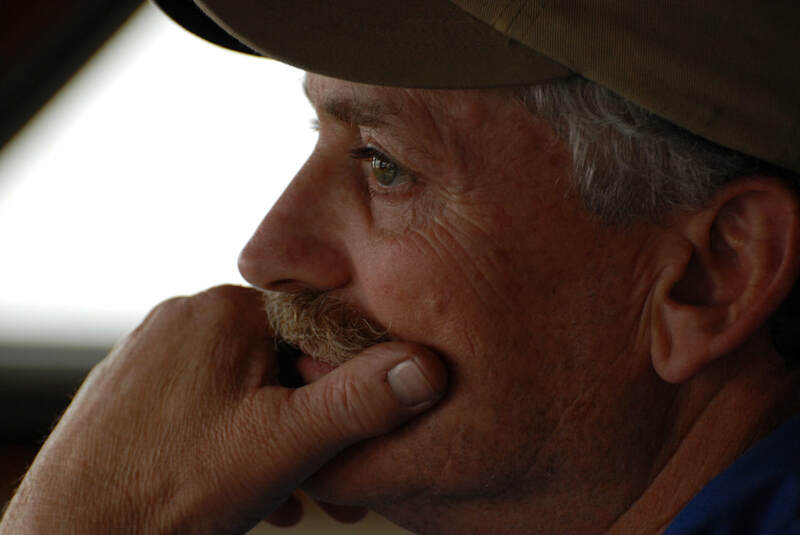 You will be cared for by a personable, experienced captain and crew. And you will choose excursions to create your unique Alaska adventure. 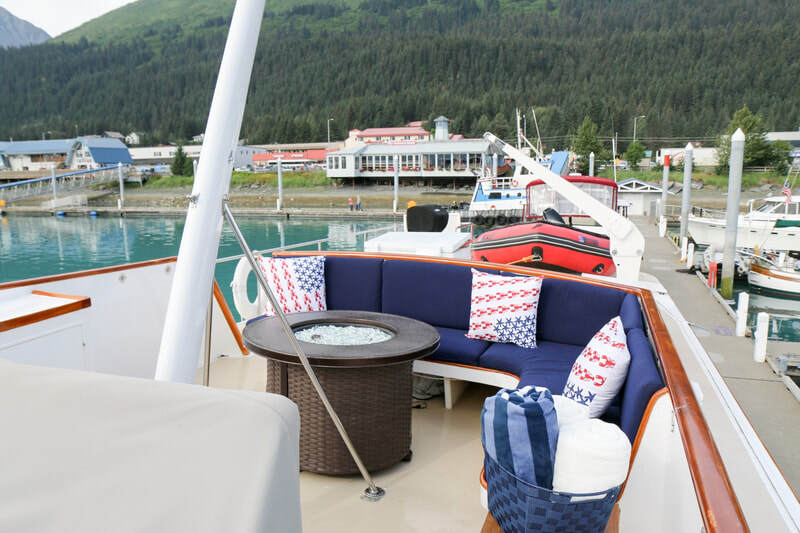 Small groups and custom itineraries personalized to your needs and interests set Northern Explorer Adventures apart from other Alaska private yacht cruises. We offer 4-day/3-night, and 5-day/4-night cruises, and can customize trips for one to seven days upon request. There are no crowds or cookie-cutter activities with Northern Explorer Adventures! You’ll choose from a wide array of excursions, including kayaking, hiking, fishing, photo safaris, wildlife viewing, gold panning or just relaxing, to create a truly unique Alaska adventure. Northern Explorer Adventures is the only private yacht cruise in Prince William Sound with a professionally trained chef manning the galley. While on board, you’ll indulge in the freshest, highest-quality, five-star cuisine, as well as local Alaska beers and fine wines. ​On board the Northern Explorer, you’ll see more, stay longer and get closer. The size of our vessel allows us to access remote locations that many other ships cannot – and we spend more time at our destinations than the larger cruise ships. Plus, we get you closer, offering unparalleled viewing of Prince William Sound’s spectacular mountains, glaciers and wildlife. 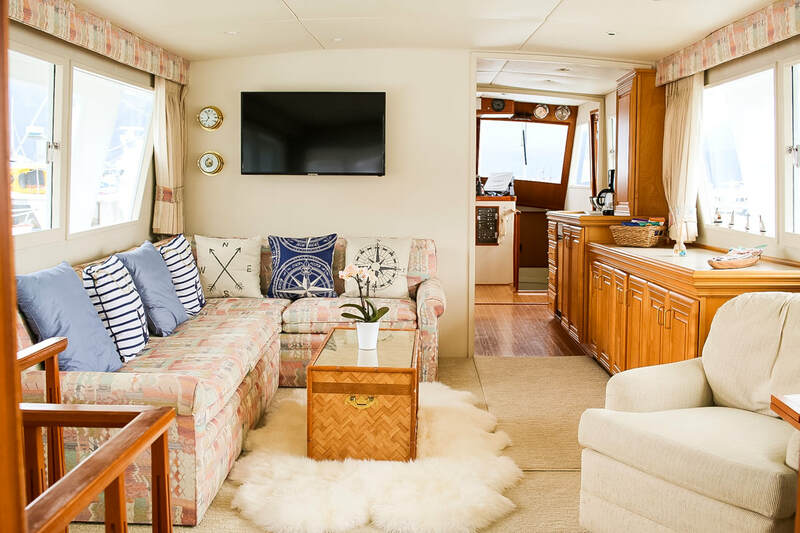 Our beautiful, 68-foot cruising yacht is specifically designed to maximize comfort and visibility. Sit in the protection of our spotless glassed-in viewing deck, watch the scenery from our heated salon, or relax next to the fire pit on the top deck. ​Alaska adventure you’ll treasure forever. 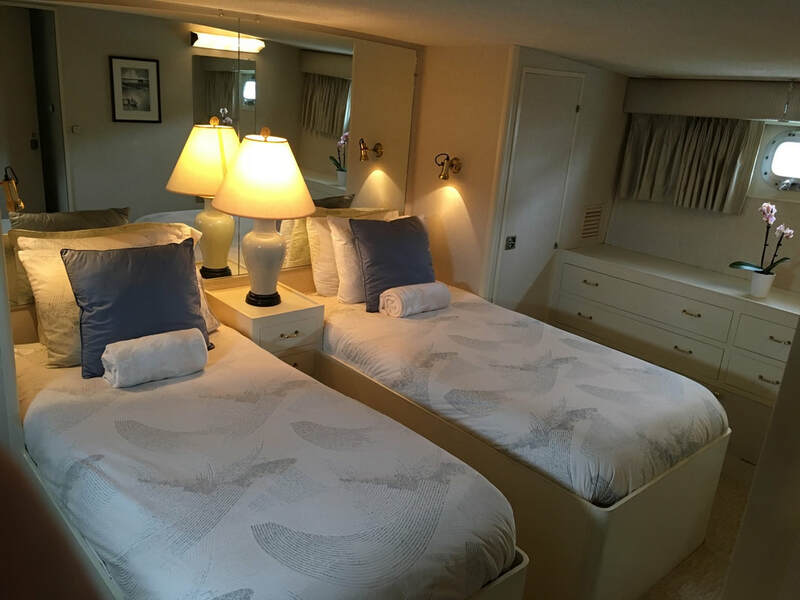 Our luxury accommodations set us apart from other Alaska cruise options. 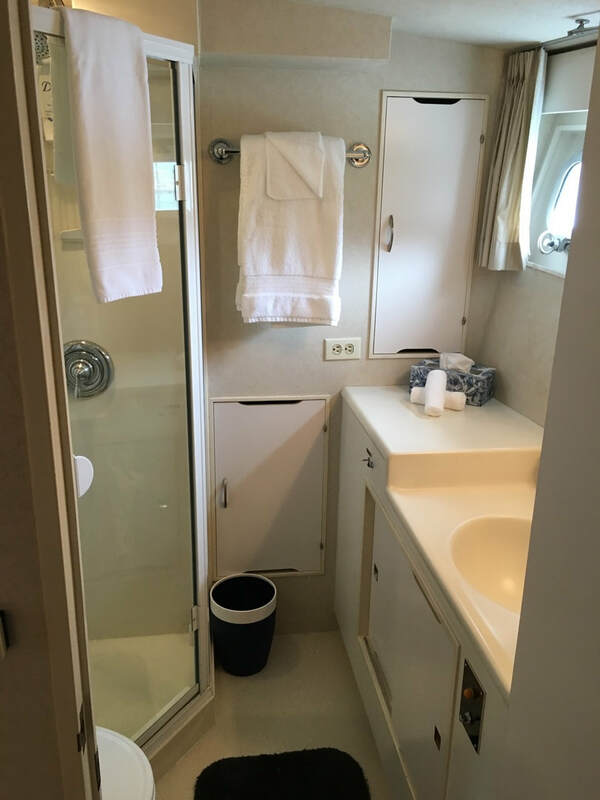 Designed with your comfort and privacy in mind, we offer three beautifully appointed staterooms complete with private ensuite baths. Our spacious, stylish cabins feature the finest linens, complimentary toiletries and ample storage, as well as exterior windows to let in the natural light. For time outside your stateroom, we provide all the outdoor gear you need for excursions, including stable and comfortable sea kayaks, rubber boots for nature hikes and beachcombing, rain gear for the occasional drizzly day, gold pans for trying your luck in the streams, fishing poles and equipment, binoculars for wildlife viewing, and a 16-foot inflatable boat for fishing and trips to shore. ​Our U.S. Coast Guard-licensed captain and crew are some of the most experienced, knowledgeable and personable in the industry. 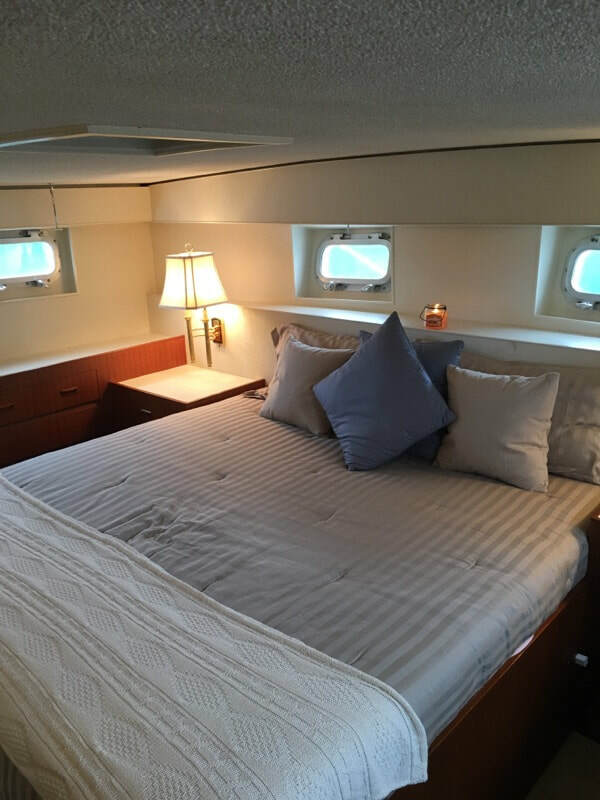 Captain Al Sottosanti has more than 25 years of experience in the Alaska tour and marine industries, captaining everything from large cruise ships to small fishing boats. 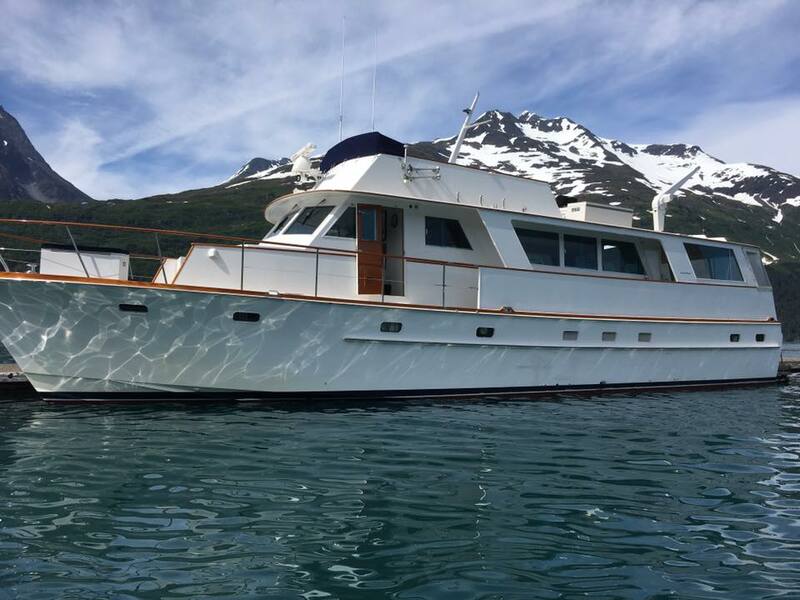 This experience in Alaska waters and vast knowledge of the state and its history enables us to provide you with the safest, most enjoyable Alaska private yacht cruise. Plus, with a crew of three and a maximum of six guests, you’ll receive the most attentive, personalized service. In addition to ensuring your comfort and safety on board, our crew are expert adventure guides who can lead you in excursions tailored to your interests and abilities. Start planning your unforgettable Alaska voyage.